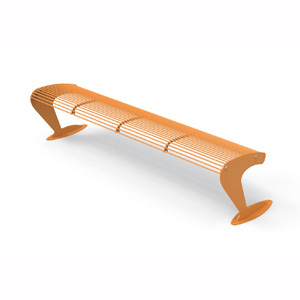 Bench in galvanized and powder coated steel rod, galvanized and powder coated elliptical steel tubes, or hardwood. Frame in galvanized steel. 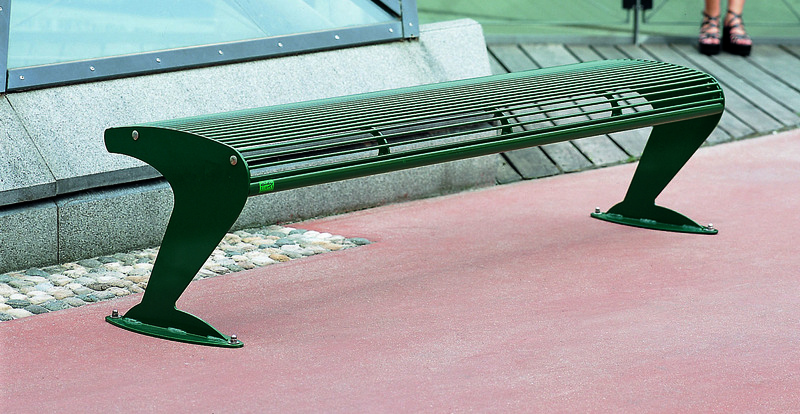 Base in galvanized oval powder coated steel plates with surface mounting holes (standard) or concrete base (optional). Paint specially formulated for easy graffiti removal with Aero-Clean detergent.